Radically transform your thinking! Discover how your thoughts will make or break your spiritual life. Learn how to focus primarily on God's ways and attributes, amplifying His ability to dramatically move in impossible situations. Understand how adversity can prepare you for greatness. Prepare to partner with Heaven's divine purposes for your life. Tap into the unlimited power of God! · Prepare to partner with Heaven's divine purposes for your life. 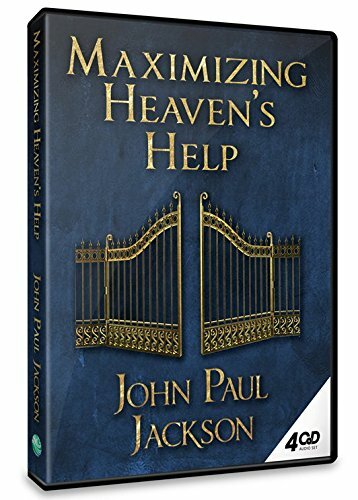 · Understand how to activate God's angels in your daily life. · Discover how to change distructive cycles in your life. · Experience the power of God to do something extraordinary. · Embrace the reality that today's choices predict tomorrows result. JOHN PAUL JACKSON is the founder of Streams Ministries International. He travels around the world teaching on the art of hearing God, dreams and visions, and the realm of the supernatural. He and his wife, Diane, have two children and two grandchildren, and live in New Hampshire.